London- The British Guardian has revealed series of contracts awarded to Syrian government and charities linked to Head of Syrian regime Bashar al-Assad’s family. 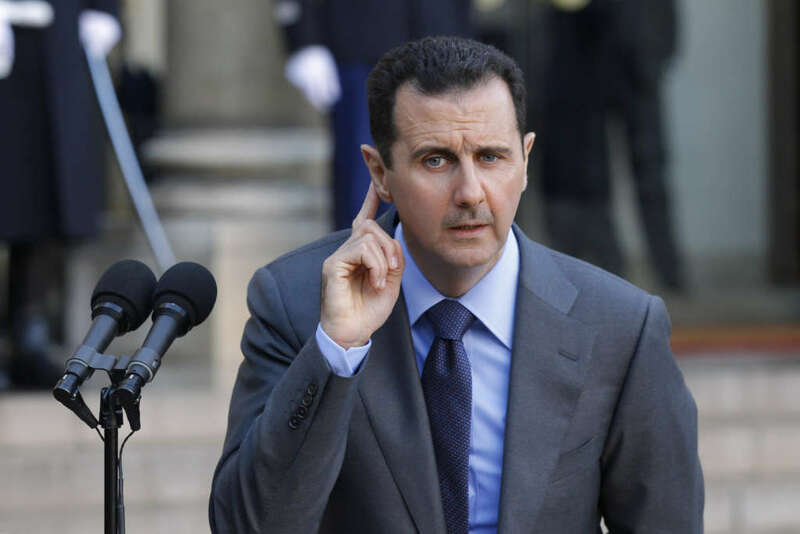 “The UN has awarded contracts worth tens of millions of dollars to people closely associated with Assad, as part of an aid program that critics fear is increasingly at the whim of the government in Damascus,” a Guardian investigation has found. Businessmen whose companies are under US and EU sanctions have been paid substantial sums by the UN mission, as have government departments and charities – including one set up by Assad’s wife Asma al-Assad and another by his closest associate Rami Makhlouf. The UN said it can only work with a small number of partners approved by Assad and that it does all it can to ensure the money is spent properly, according to the Guardian. The UN has paid more than $13 million to the Syrian government to boost farming and agriculture, yet the EU has banned trade with the departments in question for fear of how the money will be used, the British newspaper was informed. The UN also paid at least four million dollars to the state-owned fuel supplier, which is also on the EU sanctions list. The report further added that two UN agencies have partnered with the Syria Trust charity, an organization started and chaired by Assad’s wife, Asma, who is under both US and EU sanctions, spending a total of $8.5 million. On the other hand, UNICEF has paid $267,933 to the Bustan Association, owned and run by Rami Makhlouf, Syria’s wealthiest man. He is a friend and cousin of Assad, and his charity has been linked to several pro-regime militia groups. Makhlouf runs the mobile phone network Syriatel, which the UN has also paid at least $700,000 in recent years. He is on the EU sanctions list and was described in US diplomatic cables as the country’s “poster boy for corruption”. The Guardian stressed that analysis of the United Nations own procurement documents show its agencies have done business with at least another 258 Syrian companies, paying sums as high as $54 million and £36 million, down to $30,000. Moreover, the report said that UN highlights the money it has spent putting up staff at the Four Seasons hotel in Damascus as a case in point. UN agencies paid around nine million dollars to the hotel between 2014 and 2015 – which is understood to still be one-third owned by Syria’s ministry of tourism, a department outlawed under EU sanctions.